“Being a Top Producer in this business for many years, it was a difficult decision & choice to change Real Estate companies. However, once meeting with the folks at RE/MAX Aerospace Realty the decision became easier. 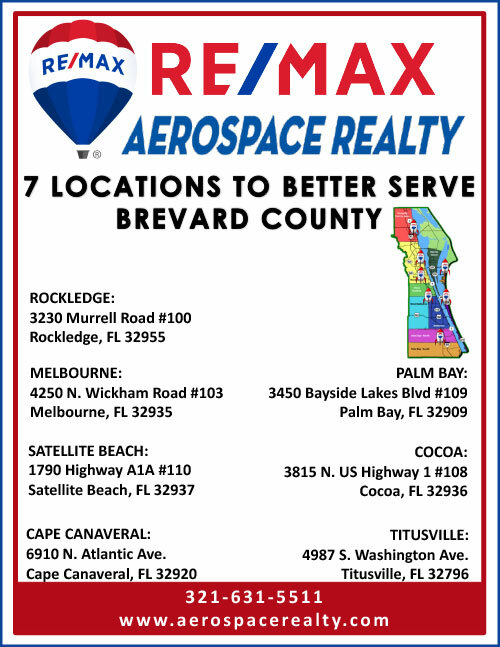 My first meeting was with Kelly who was incredibly warm and friendly and guaranteed that the move would be easy since at Re/Max Aerospace their goal was to help all their agents succeed. Yet I wanted to meet the Broker so my meeting was arranged and Barbara was delightful to chat with informally. Barbara was upfront in her visions on how she runs her Real Estate offices and talked about how she truly cares about her agents giving many insights how she oversees the company which was very much to my liking. After that meeting, my decision was pretty close to taking the plunge in making that move. But still being the critic… I had to call other agents in the company, who I have known and worked with in other Real Estate deals and who I trusted in their work ethics, professionalism, honesty and knowledge. Every agent touted the same praises and told me over and over again, how RE/MAX Aerospace Realty was the best Real Estate company ever.